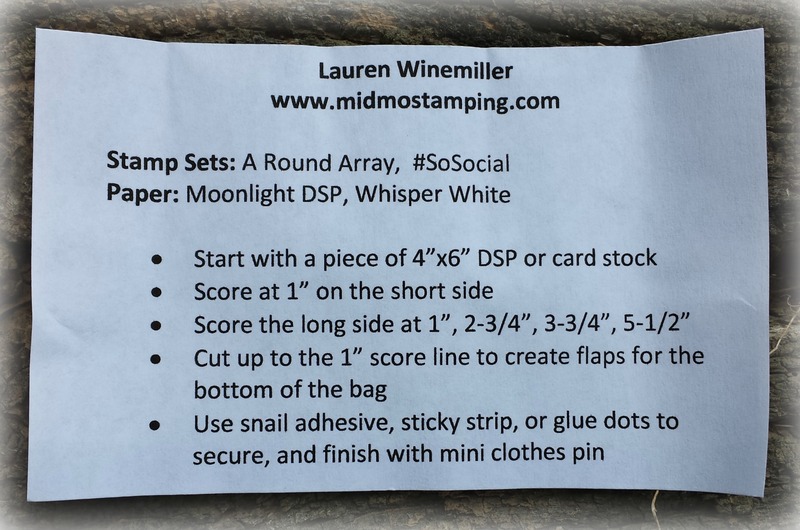 I made a bunch of these to take as my 3D swap for Stampin’Up! 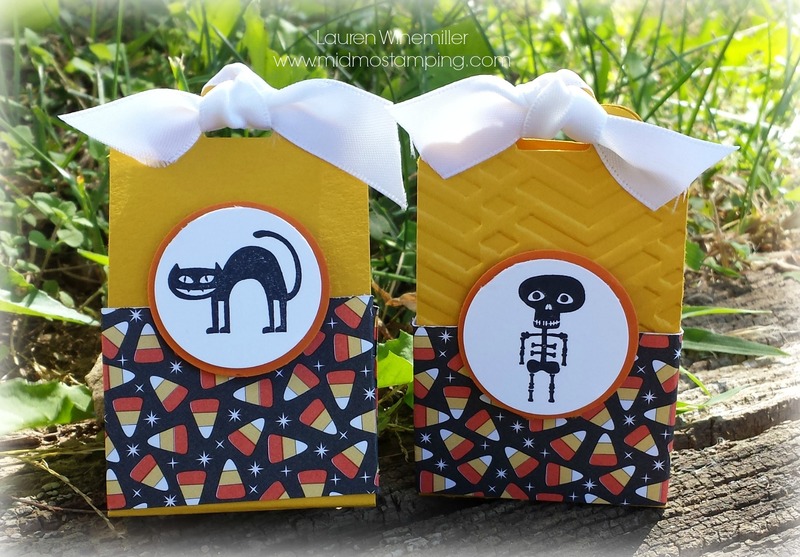 Convention last month–They were a hit!!!!! 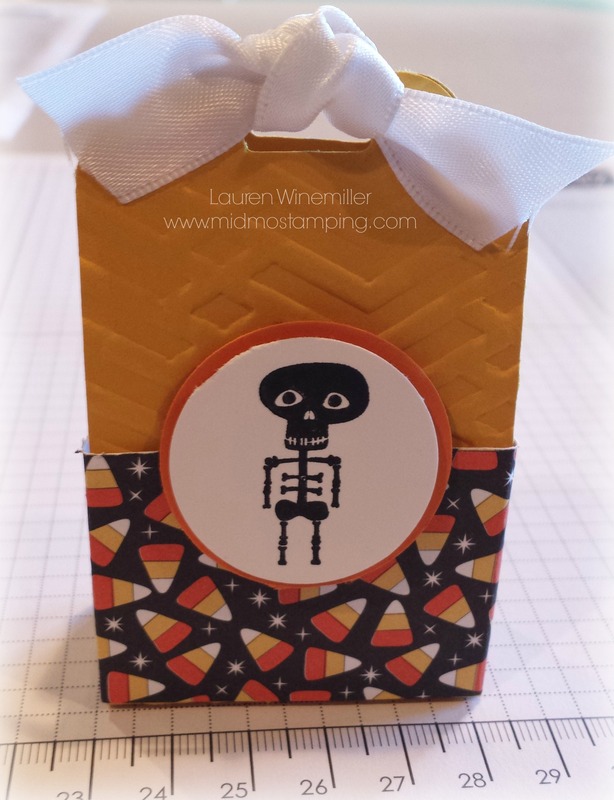 Each of my Stamp Club members received one of these treats in their orders last month. 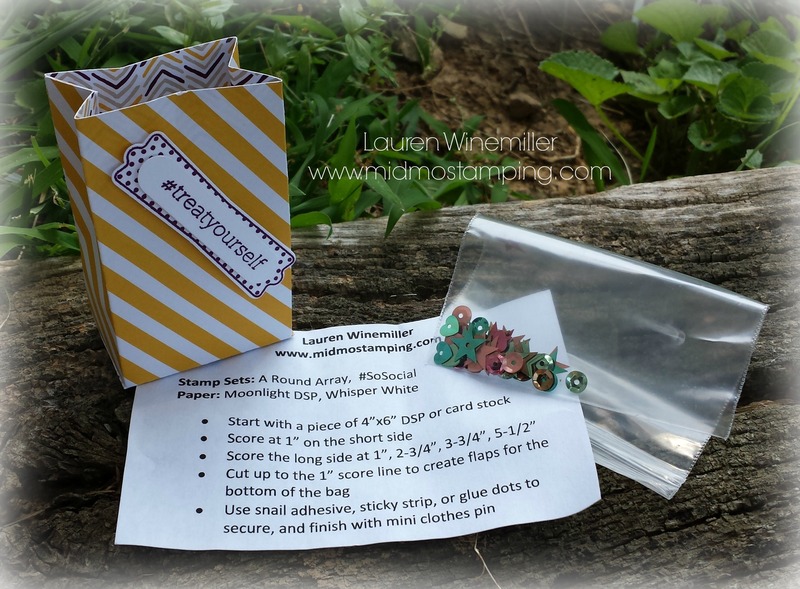 I threw in a sampling of our new 2013-15 In Color Sequin Assortment–just a little way to say THANK YOU for being part of Club 🙂 The directions sheet and sequins fit perfectly in the bag, and the mini clothespin topper made it easy to secure. Super easy to make and these would be perfect for back-to-school treats and the upcoming holidays. 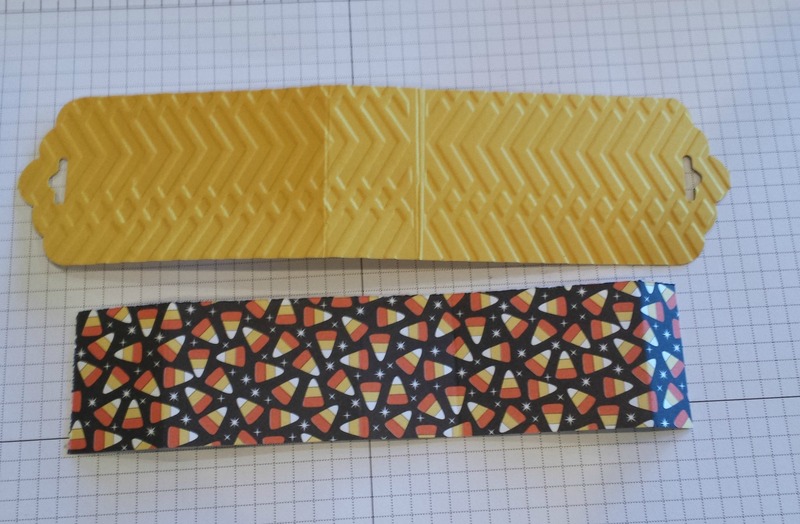 Side Note: Today is August 10th, which means TODAY is the LAST DAY to sign up for this month’s Paper Pumpkin Kit!!! NEW Subscribers receive 50% off their first 2 months!!!! That’s just $9.95 per month. 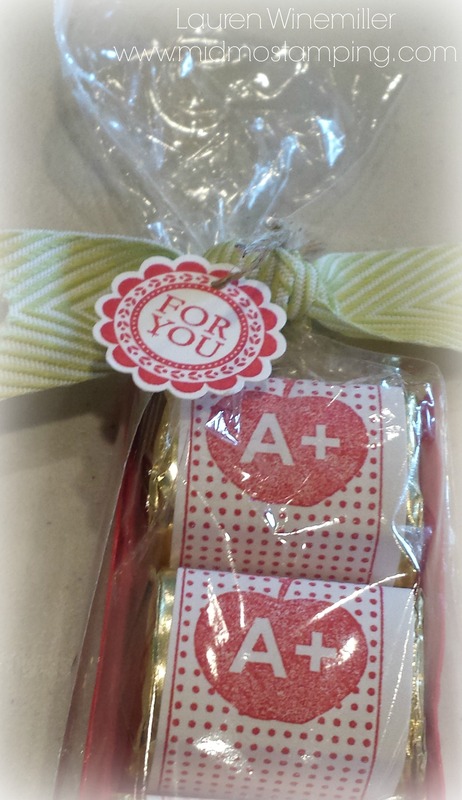 What teacher wouldn’t LOVE to receive this sweet treat! 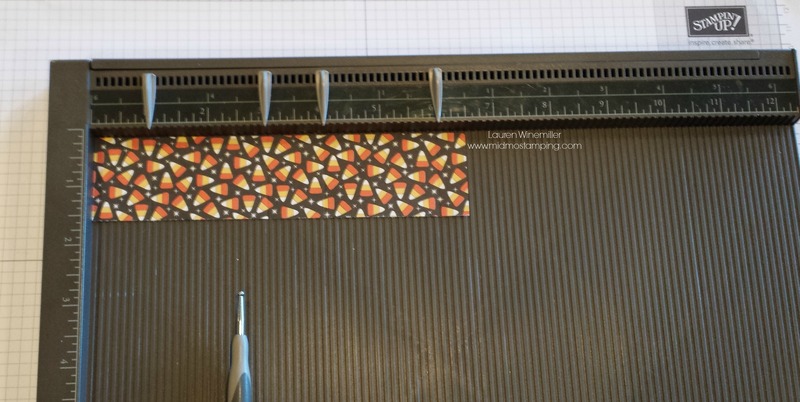 To create the chocolate holder, simply cut a piece of card stock 4″ x 1-7/8″, then score the long ends at 1/4″ on both sides. 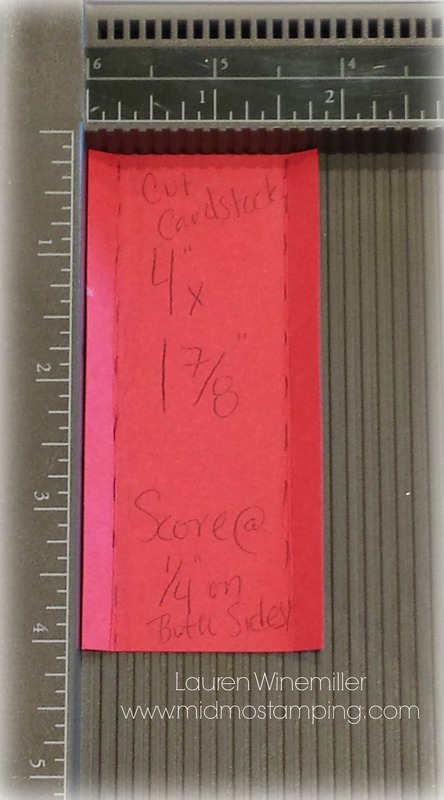 I used my Simply Scoring tool so I could easily see where to score. 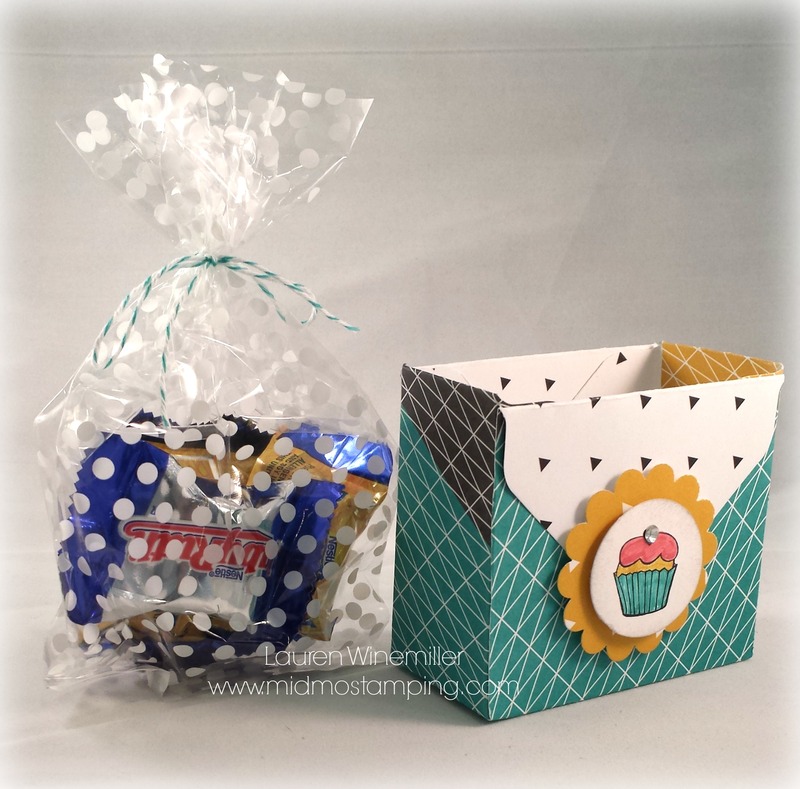 Here’s a Sweet Treat we made at this month’s Stamp Club! 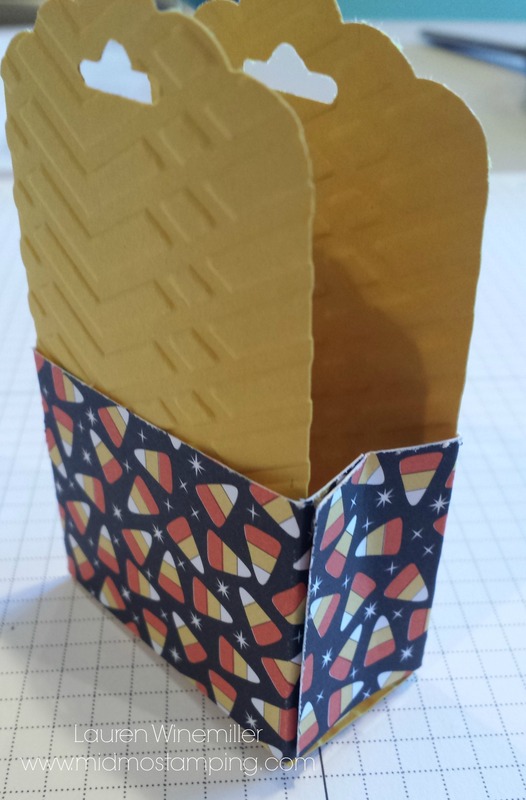 I got the idea from SU demo Angie Juda, but used my Kaleidescope Designer Series Paper instead. You can see her video tutorial HERE! 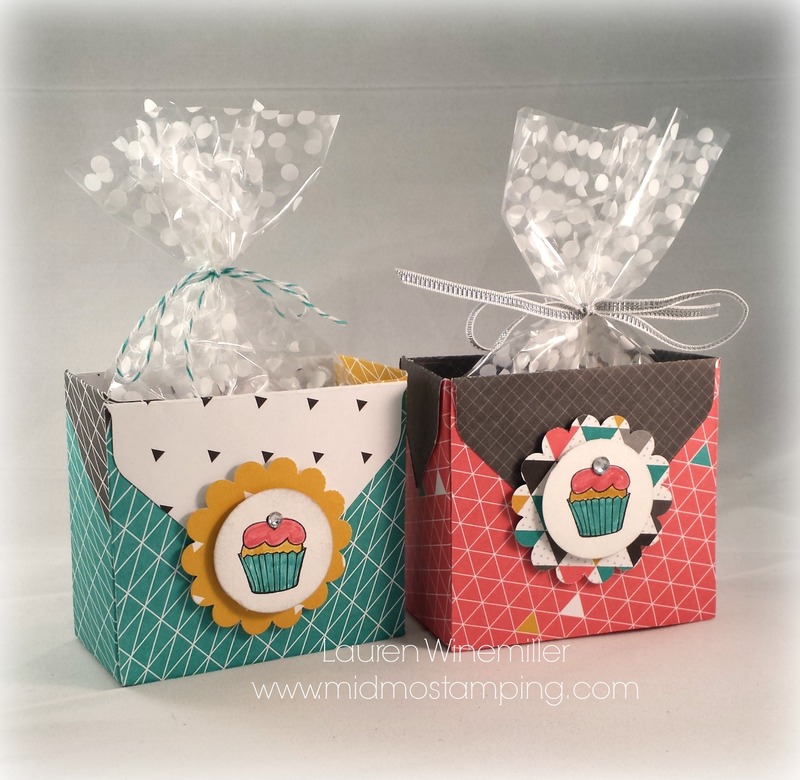 The adorable polka-dot bags are from the Twisty Treat Sale-a-Bration kit! 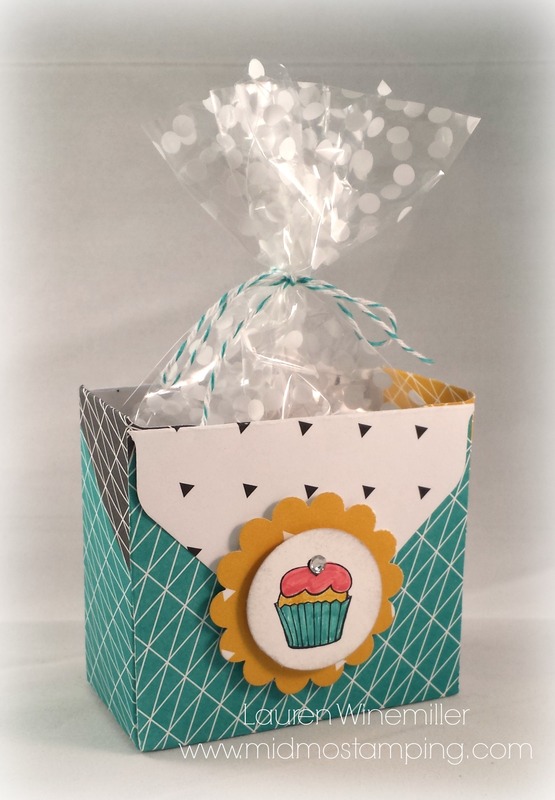 The super cute cupcake is from the “Another Great Year” stamp set, colored with Strawberry Slush, Bermuda Bay, and Crushed Curry Stampin’ Write Markers. Don’t forget about the Rhinestone bling! 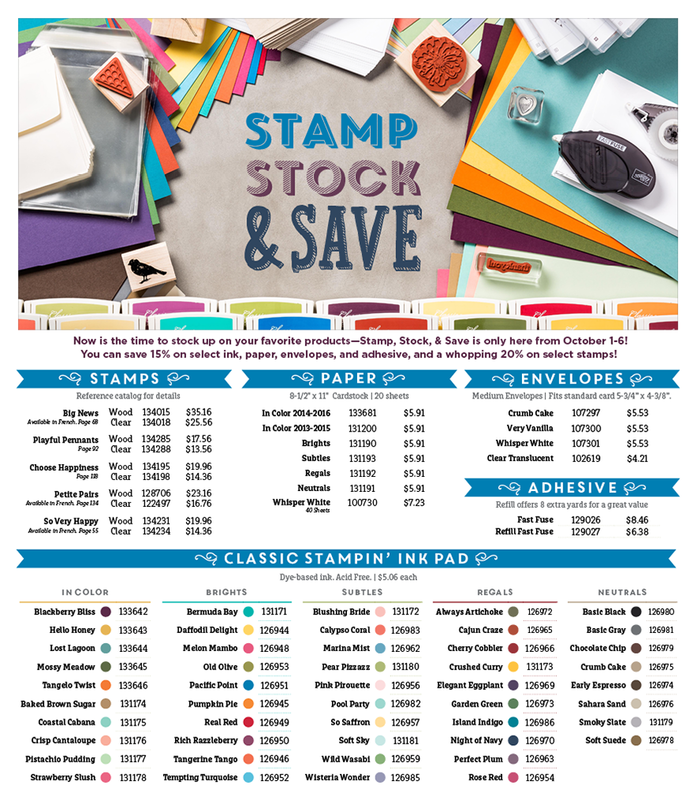 Only 2 Weeks Left for FREE Stamps, and Paper, and Cards–Ohh My!!!! 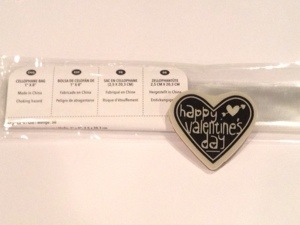 Receive this Simple Stems Tutorial FREE when you place your order online! 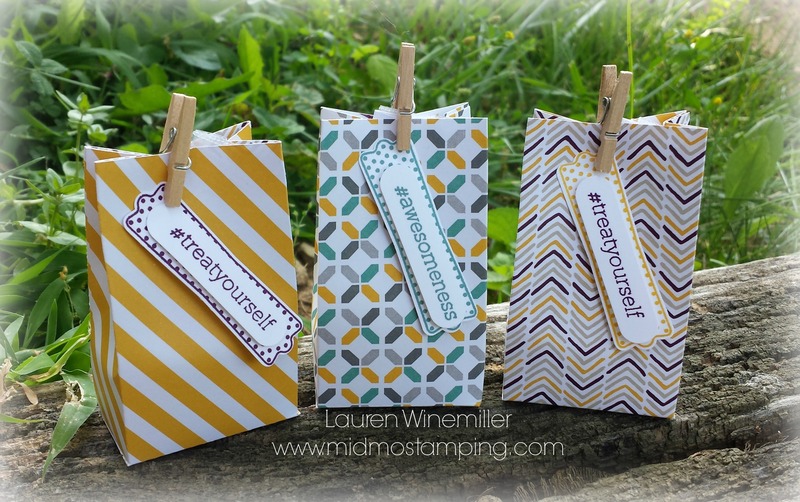 I’m in LOVE with the NEW 2013-14 Stampin’Up! Catalog! And I’ve found that I discover something new each time I look through it–does that ever happen to you??? My hubby and I are headed to Ft. Myers, Florida for a much needed vacation (without the kiddos–yippee!). 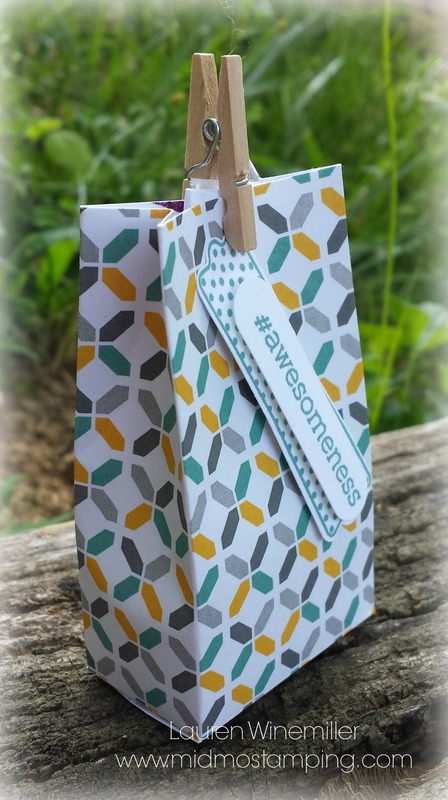 So while I’m gone, I’ve planned to share some of my favorite NEW products from the catalog–inspirational pictures are from pinterest, of course 🙂 You can click on the pictures for more info about each project! Seriously…it doesn’t get much easier than this!!! 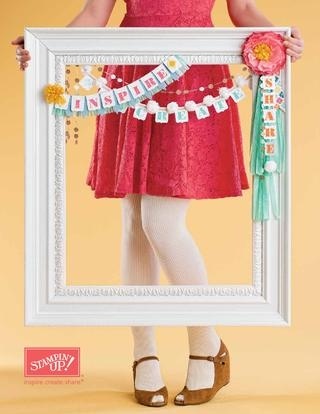 Anxious to get your hands on the NEW ribbon, dsp, and embellishments, but don’t want to spend a fortune??? My New Catalog Product Shares are still available– be sure to sign up before they are gone! 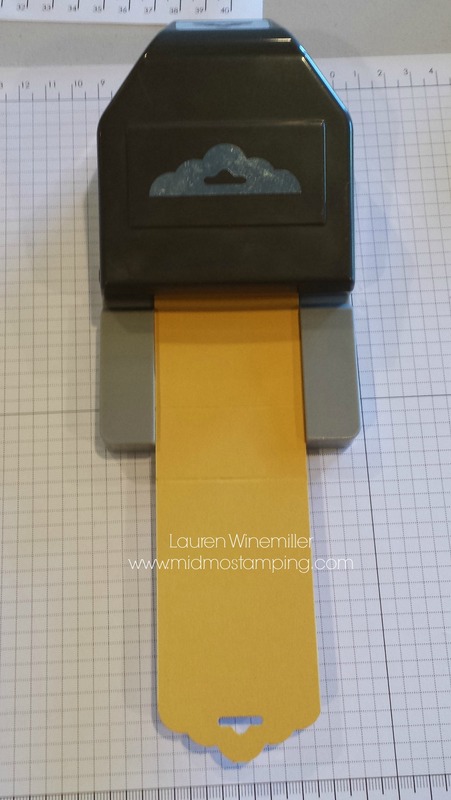 Have a Fabulous Day and Happy Stamping!!!!! ***2 NEW Upcoming Events: Day and Evening times available!!! 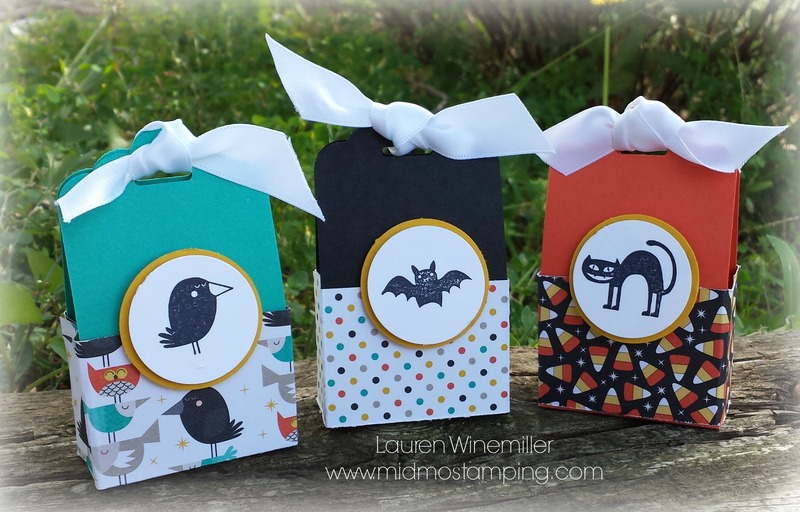 Six-Sided Sampler Card Class and Serene Silhouettes Card Class. Sign up Today! 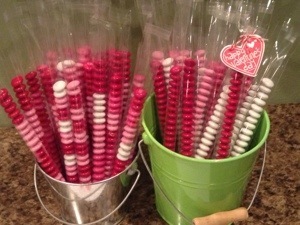 You may remember the Valentine treats Lexi made last year for her friends. Well she’s getting crafty once again this year! 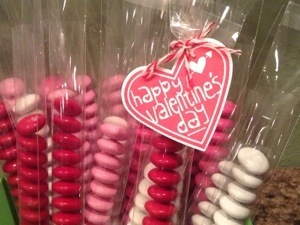 1 package of 1×8 cellophane bags, 1 heart stamp & coordinating punch, and 1 (or 2) bags of M&Ms, and you are all set! 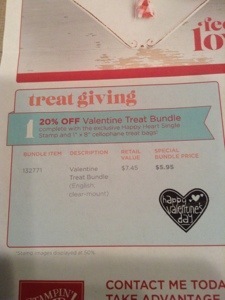 Stampin’Up offered a great combo deal and today is the very last day to partake. We have filled all of the bags, just need to stamp and assemble. Good thing I have a great helper! 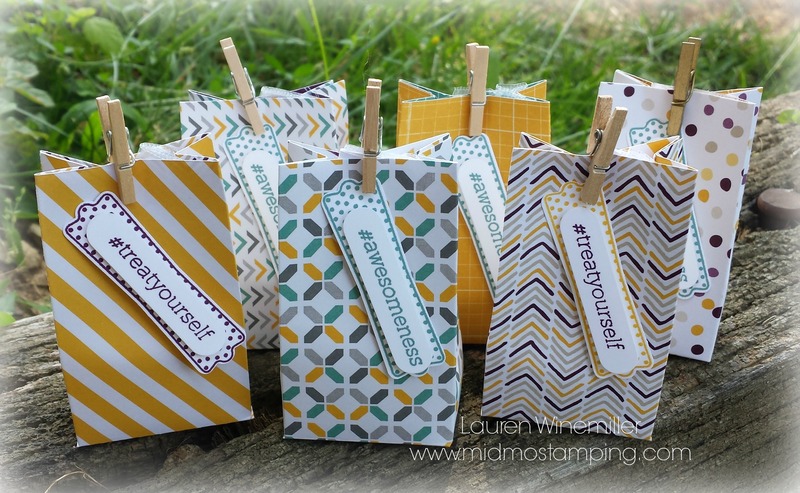 Have a Fabulous Day & Happy Stamping!